Welcome to Throwback Thursday! 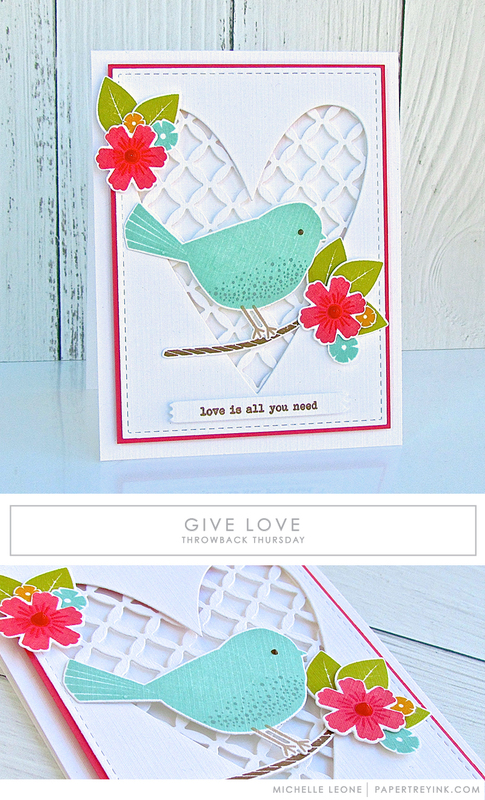 Today, Michelle is revisiting the Give Love stamp set. Great card! I love the idea of the lattice in the negative space of the heart die. Great idea that could be applied to a lot of dies. Such a beautiful use of this set! Love the crisp lines and details that add texture. Fabulous colors and design. Thanks, Michelle, I love seeing your work. 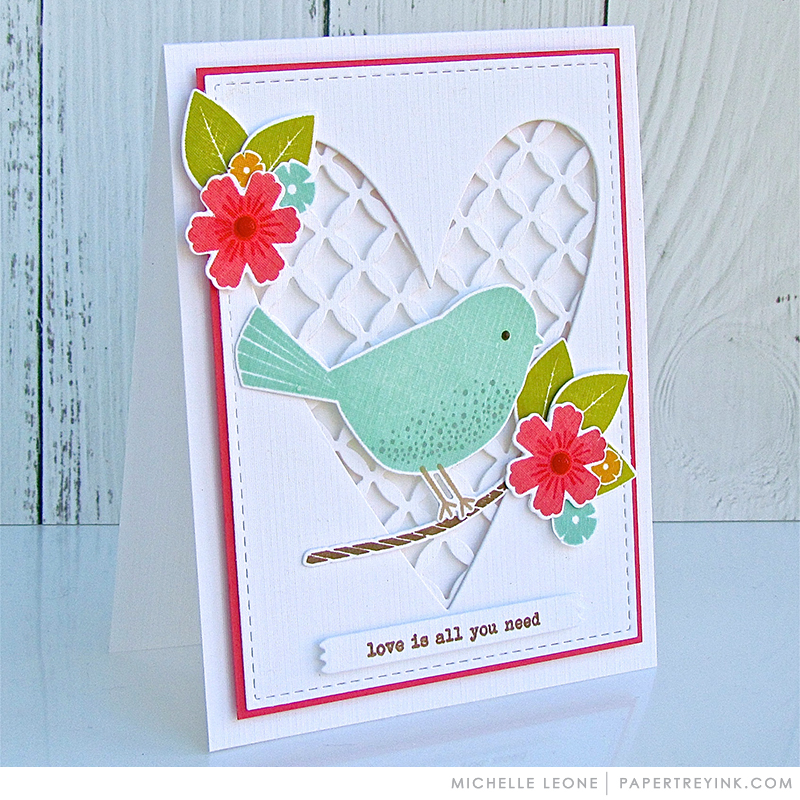 Michelle’s spring card with her clean and simple layering looks spectacular. Love how she made the Mix & Mat Pretty Brackets work here!